Celebrate the most important birthday in the house with ths "singing" Birthday Cake. 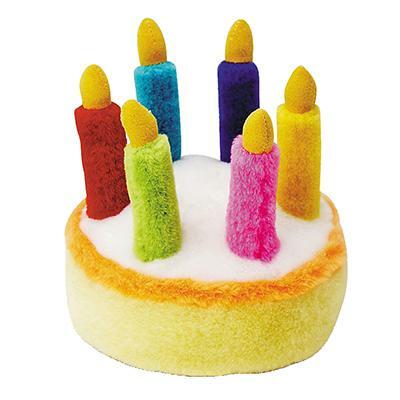 Plush cake plays "Happy Birthday" every time it's squeezed. Turns that special day into a festive occasion. Cake measures 5 inches across and is 5 inches tall.